"What the priests had believed was an angry kami was, in reality, two spirits locked in battle over the shrine. A battle of invisible wills, raking the walls, breaking the rafters, primordial forces locked in stormy opposition." As a Living Card Game®, Legend of the Five Rings: The Card Game is always changing and evolving. New cards change the ways that players experience the game's central conflicts and the ways they view its Great Clans. 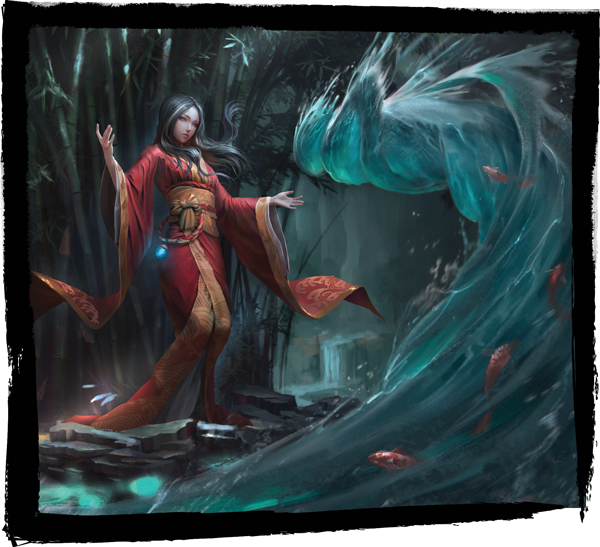 And while this growth and change is to be expected of every LCG with a dynamic card pool, Legend of the Five Rings takes the idea of change—or, more precisely, of impermanence—and pushes it even farther. Characters enter play with a limited lifespan—fated to leave within a few rounds. Even the rules for deckbuilding and the identities of the Great Clans shift with time—and with the selection of each clan's elemental roles. Now that the first period of Elemental Championships is underway, players all around the world find themselves intricately involved in decisions that will shape their clans' futures. It's an exciting idea—one that offers Legend of the Five Rings players a unique role in the development of their favorite game—and guest writer Tobin Lopes shares his thoughts about why these roles and the selection of them are so important to not only the Organized Play, but also the casual experience of Legend of the Five Rings: The Card Game! Since their introduction to Legend of the Five Rings: The Card Game, the ten possible elemental roles have spurred many passionate discussions and deliberations among the player community. Few of those discussions echoed more loudly than the ones that emerged from the first role selections at the Kiku Matsuri and that eventually led to the stunning betrayal by a Hatamoto who abandoned his clan—and his Hatamoto status—to play as Scorpion at the Winter Court World Championship, hoping to place high enough to steer the Scorpion Clan away from a potentially overpowered combo. With drama like that emerging at the Winter Court World Championship as the result of role selection, it’s clear that the Role System has already led to a great deal of community involvement in its brief existence—and this will only get more dynamic, interesting, and engaging in the coming years. As we are now in the middle of the first period of Elemental Championships, we have reason to explore how role selection will become an even greater part of the game and make even more of a mark upon the people who play it. Since the game’s release, players have debated which roles their clans should choose, as well as how to go about making those choices. The Kiku Matsuri selections were largely about choosing a strong—but not optimal role—in order to get a stronger one at the 2017 Winter Court World Championship. Throughout the Toshi Ranbo Kotei Series, players debated whether their role selection should be based on available provinces or the other cards a given role would make available to the clan. Although the role choices the clans made at the 2017 Winter Court World Championship resulted in many of the clans gaining an even stronger role, the clans had more mixed results in the Toshi Ranbo Kotei season, largely because it used a unique process through which the clans would pick a second role collectively. Unicorn was probably the biggest beneficiary—getting Keeper of Fire. The Crab, however, got Seeker of Earth—a choice that many Crab were disappointed with. As a result, most players, with the exception of Unicorn players, played with their Winter Court 2017 roles at the 2018 Winter Court World Championship. Because their elemental roles literally alter their card pools, the clans are deeply invested in determining which roles work best for them. And the newest selections from the 2018 Winter Court World Championship are now carrying players into the first period of Elemental Championships, which will determine the Great Glans' newest roles, and their selection will provide great fodder for conversation and community engagement. 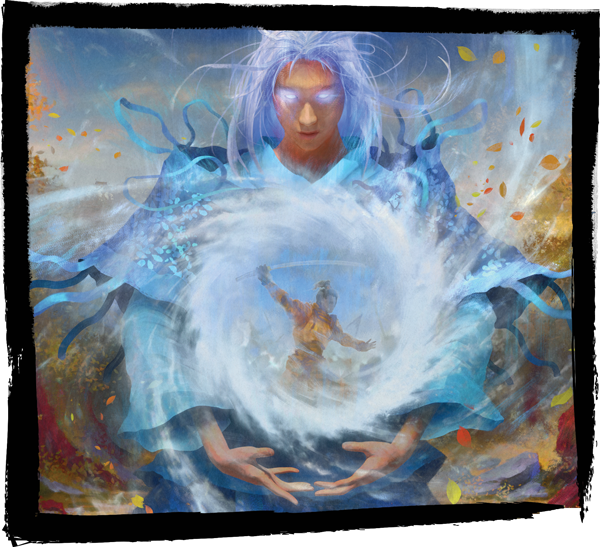 With its tri-annual role rotation, Legend of the Five Rings: The Card Game can now boast the most dynamic play environment ever found in an LCG. 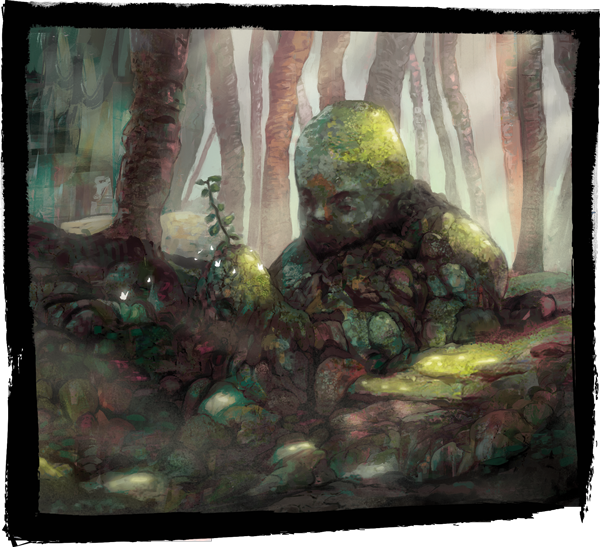 The metagame changes with the addition of new products, with the rotation of elemental roles, and with the changes those elemental roles place on the respective values of the new products to each of the Great Clans. Not only will the new elemental roles shift how the clans play, but the 2019 releases of Children of the Empire and five new Clan Packs will mean that some roles which are strong now may become weaker, and roles currently viewed as weaker will become stronger—and all of this varying from clan to clan. Taken altogether, this means Legend of the Five Rings players will be playing and deckbuilding in a meta that constantly opens new doors while others close. 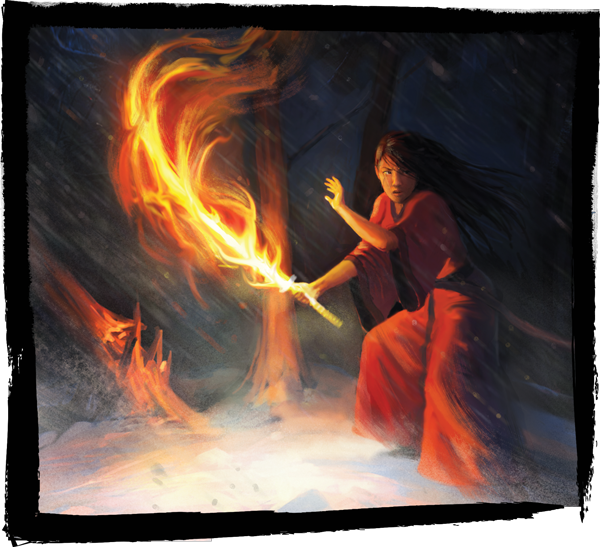 Choosing roles through the two seasons of the Elemental Championships should lead to exciting times for everyone involved in Legend of the Five Rings: The Card Game Organized Play. In contrast to the role selection at the Winter Court World Championship, which bestows great honor on each clan's top samurai, the role selection process for the Elemental Championships relies on clan communities communicating about the best way forward for their individual clans. There are far more Elemental Championships, far more samurai earning votes, and far more votes to cast. The role selection process for the Elemental Championships also ensures that clans won’t be able to retain their outgoing role—although, interestingly, it does allow for multiple clans to share the same roles. However, this process ensures that anytime a clan greatly favors one role, they will be forced to adjust once that role becomes unavailable. But that’s where the fun is… because with more cards coming—and more chances for clans to use their elemental roles to access new cards—we will see a constantly shifting meta. And I predict that—in order to prepare themselves for the Great Unknown Shifting Meta—each of the Great Clans will look for access to both a Seeker and Keeper Role at any one time. 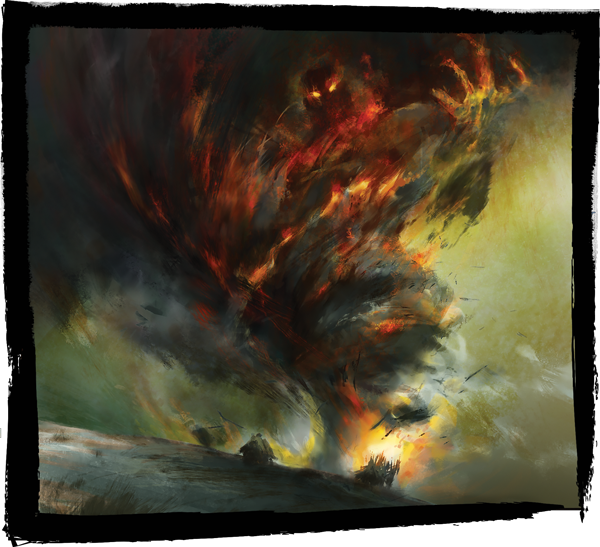 With the changes to their elemental roles, players and clans are going to have to stay on their toes. Strategies and card combinations which are popular or powerful in February may not be either in May. And as new cards emerge that play off the different roles, the importance of each clan's role selection is only going to increase. There's going to be so many exciting new possibilities that I believe players will alter decks and experiment with different themes and—yes, I’m saying it—different clans! All this makes for dynamic, diverse, and exciting games, both casually and in Organized Play. As I see it, the next year of Legend of the Five Rings: The Card Game will be an exciting one, and I think that all these new beats of change make Legend of the Five Rings the strongest iteration to-date of the Living Card Game moniker. As Tobin suggests, the votes that players are casting during the current period of Elemental Championships will soon play a massive part in shaping the game for months to come. But as he also notes, you, too, can play your part in this critical moment. Find an Elemental Championship near you, and make your plans to attend. The Top 2 samurai from each clan will get to vote for both an Element and a Role, and even if you don't find yourself among the Top 2, you might be able to persuade your clan's representatives to see things your way and cast their votes as you would have them. What cards do you want to play with? What do you expect the future may hold for your clan, your element, and your role? Now's the time to play—and to bring strength and honor to your clan!